Only 2 weeks to go for the 2018 Might Matthew Cycle! The route has been finalised and training is continuing at a slow pace! There is still time to sign up and have a great fun weekend. Full details are on the MM 2018 Cycle Page. Matt relaxing in the garden with Al one of Matt’s carers. As soon as Al walks into the room Matthews face lights up and he is so relaxed and happy with Al’s company. We’ve done the Harbour 2 Harbour walk to support Aware, the Virgin 10k night run, the Clontarf half marathon as well as numerous other runs around Dublin. 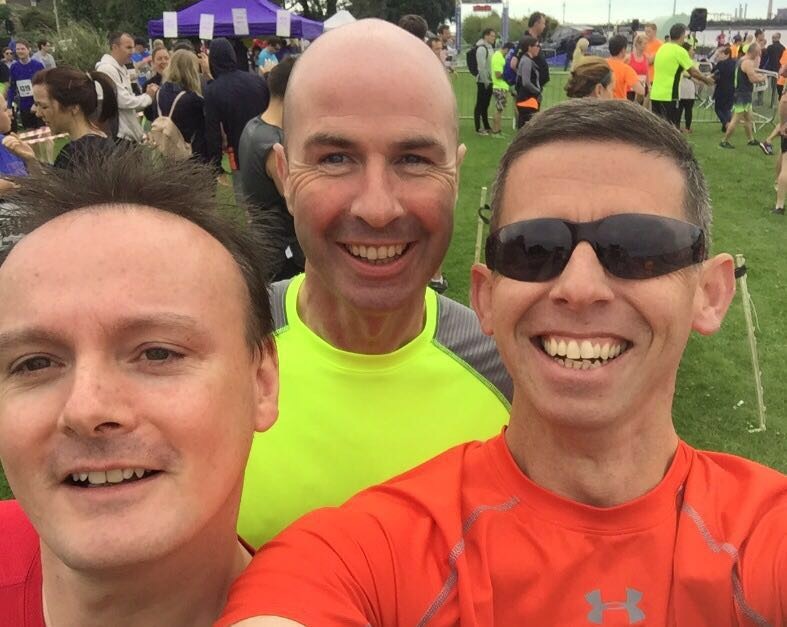 Now John Rush, Darragh Shields and John Deasy have decided to take on our biggest challenge yet in the Dublin City Marathon on 29Oct17. We’ve been putting in the miles over the past few months so please come out and see us in our support of the Mighty Matthew Trust. 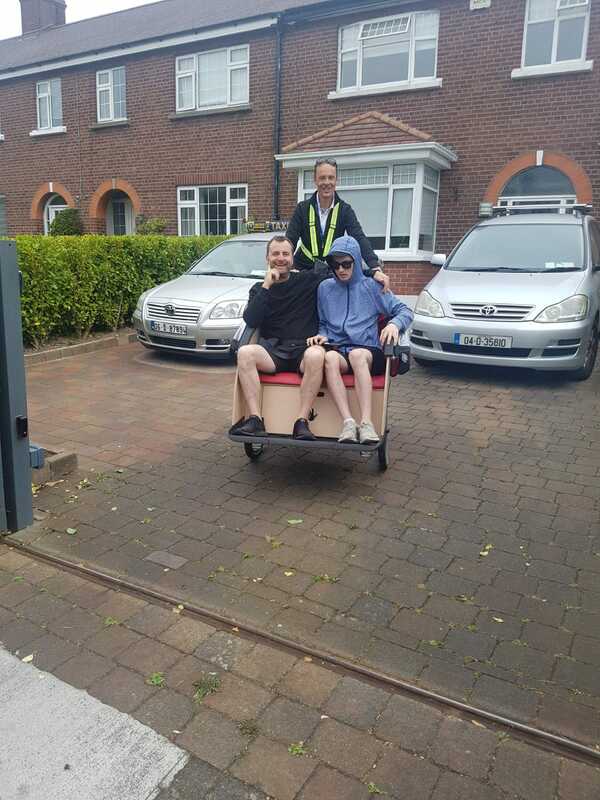 The team from Together Video and Clontarf.ie have produced a super video that offers us a little insight into life at home for Kevin, Lesa, Matthew and the family. 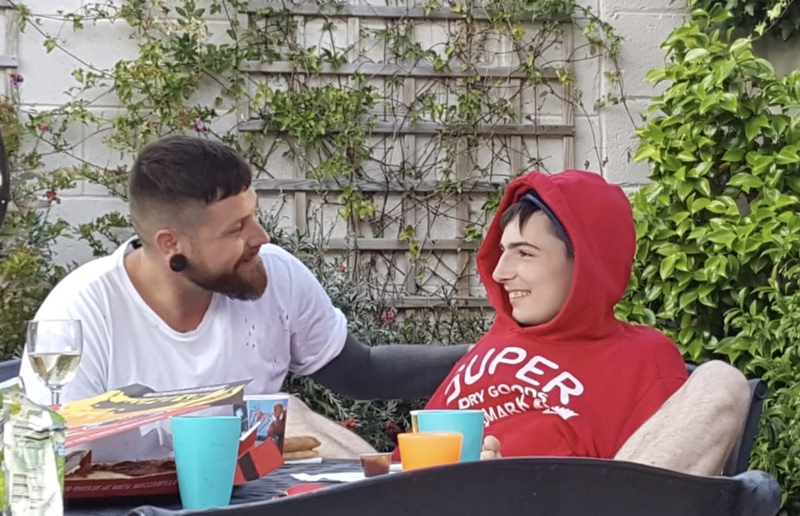 We want to take this time to acknowledge everyone’s efforts and dedication to the Matthew Hayes Trust which as you can see is continuing to make a huge difference to their lives and help to provide the necessary care and support for Matthew. I’ve long had an interest in the use of therapies such as Massage & Reflexology on people with special needs. Over the last year I have had the privelege of treating Matthew. Initially I hoped to use reflexology but the first lesson I learned from Matthew was that He was the Boss. He was very quick to indicate to me he didn’t like Reflexology but loved Massage. 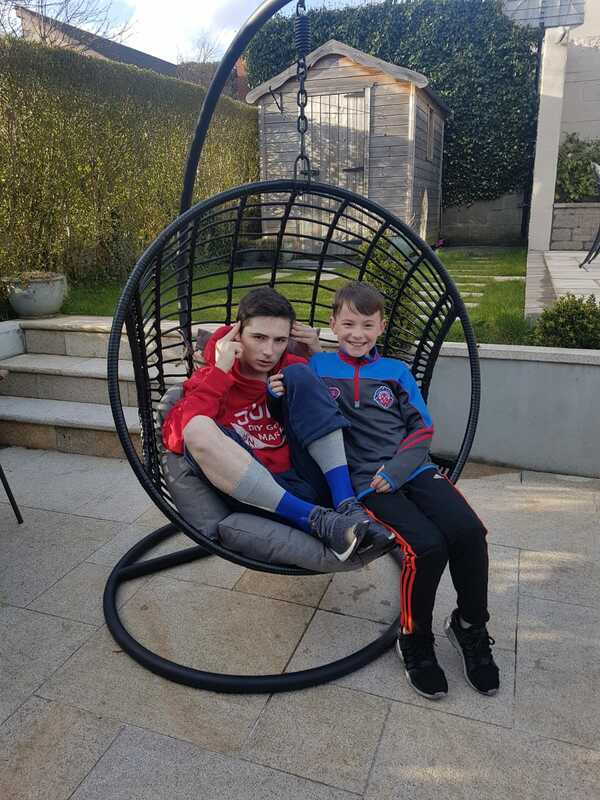 While it can take some time to settle Matthew onto the massage table and get him comfortable, its not long once treatment starts that he settles down & relaxes. Matthew reveals to me what he wants whether it is his back, hands or feet and sometimes he likes all three!!!! Matthew is hyper active throughout the day, constantly on the go and would rarely sit down or relax. The positive effects of the massage is that Matthew becomes very relaxed & much calmer very quickly. 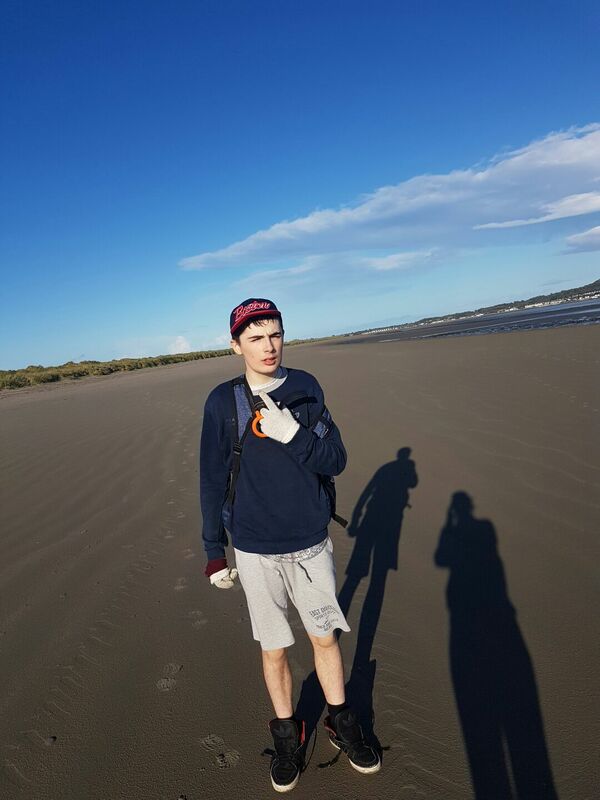 Relaxation can combat fatigue & anxiety, lower blood pressure & heart rate and boost circulation which are all hugely beneficial for Matthew. Also Matthews muscles can be very tight & as I massage them I can feel his tension breakdown. 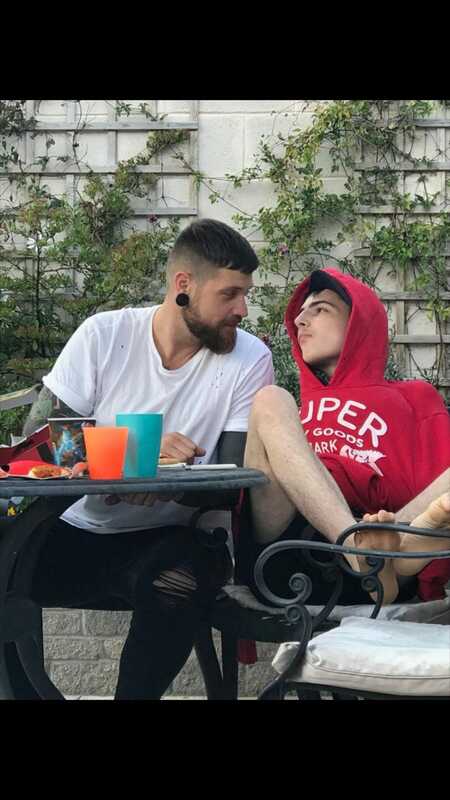 Matthew & I are building a lovely relationship & I look forward to continuing my work with him. Thanks for all the support throughout 2016. 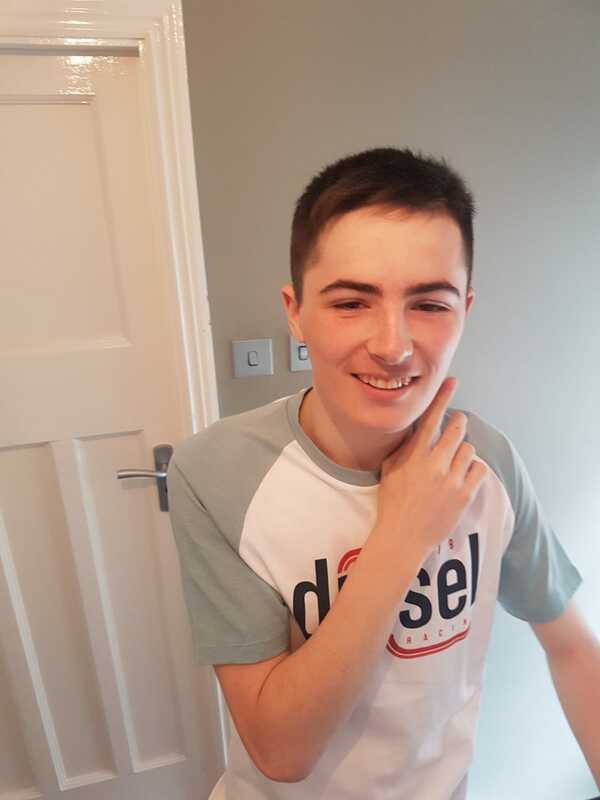 The money raised has helped Matthew and our family with a number of initiatives to care for and support Matt. Sinead, Al, and Pauline are three people who work in the area of care suited to Matt and started coming to the house to help with Matts routine for bedtime. This is a very tiring routine and can take a number of hours given Matts anxieties around the whole transitioning from one room to another. Most importantly Matt himself benefits from having new faces around and he looks forward to seeing them. 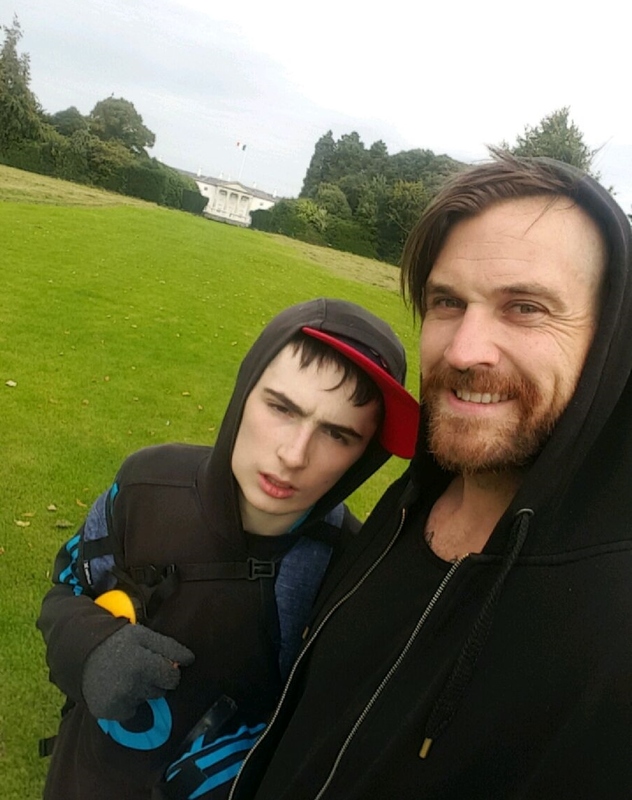 The carers are also qualified to help take Matt out of the house and have brought him on afternoon trips to the beach and to the Phoenix Park. This is great for Matt and provides him with fresh experiences and a break from the normal house surroundings. Ongoing we have Carmel giving Matt great foot and body massages which he has taken to like the proverbial duck to water. Carmel was a great help in finding a very good value fold-up massage table & it’s been great to come home and see Matt so very relaxed and indeed sometimes prompting Carmel as to where exactly he needs pressure. Many thanks to Carmel for her great patience and know how in dealing with Matt. 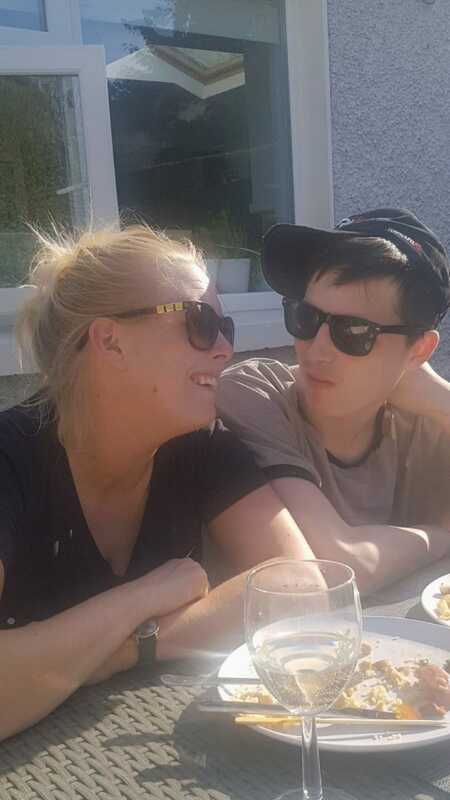 After much research, Lesa found options for private respite and through Nua Health Care Matt has had a few weekends away in their Portlaoise respite house. 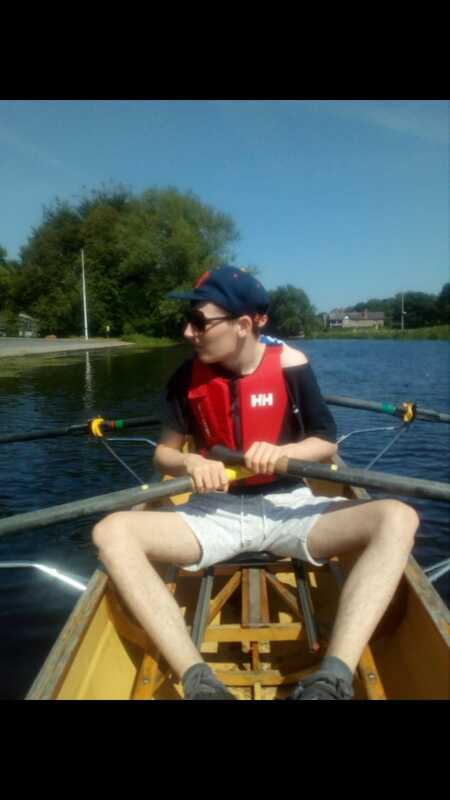 These couple of weekends with Nua Health Care provide Matt with specialised care and allow Matt to get some new experiences in a safe environment. All of these measures are thanks to the Trust which is only there thanks to brilliant fundraising of those involved in the Mighty Matthew Cycle and the kind donations and other fundraising initiatives taken by friends and friends of friends. Thanks for all your support and l hope this is a little insight into the good from all your hard work. 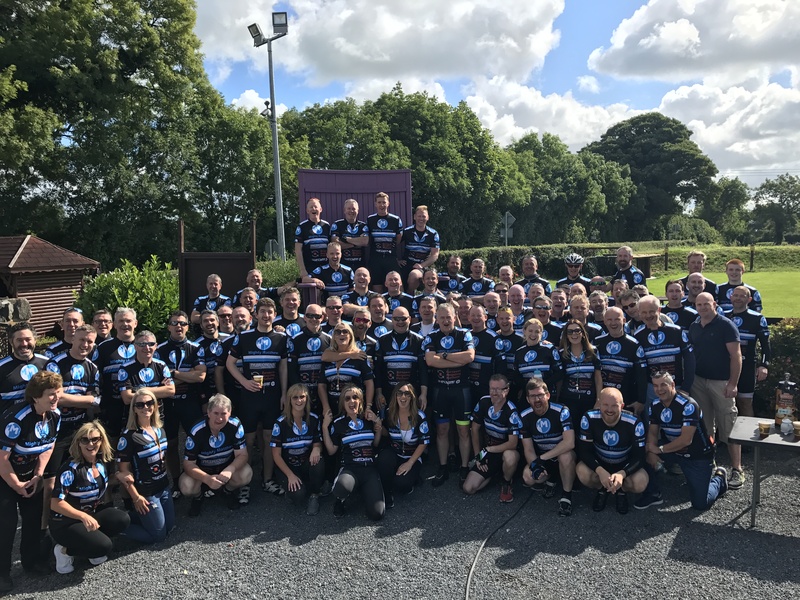 60 Cyclists, 10 Support Crew, 3 Outriders, Lead Navigation Jeep, 2 Support Vans & a rear Puncture Repair Jeep….we all made it safely from Clontarf to Lahinch covering over 330km in extremely challenging conditions. 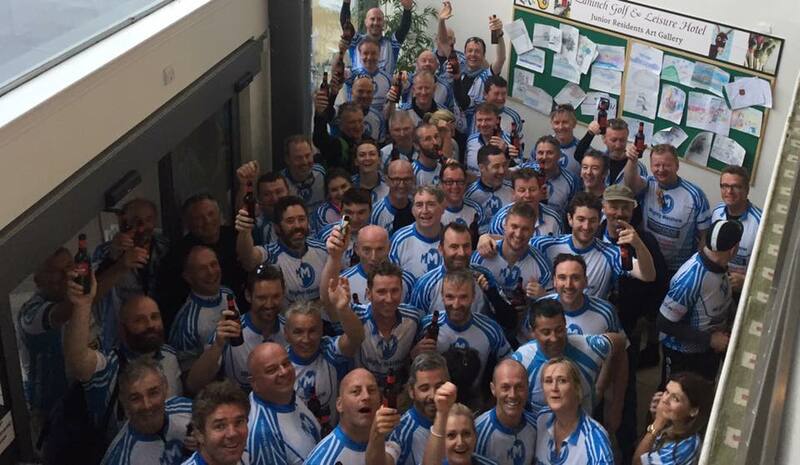 Thanks to everyone who cycled, supported, sponsored and donated to the Matthew Hayes Trust to help make the event a great success and raise much needed funds to help support Matthew and his family.